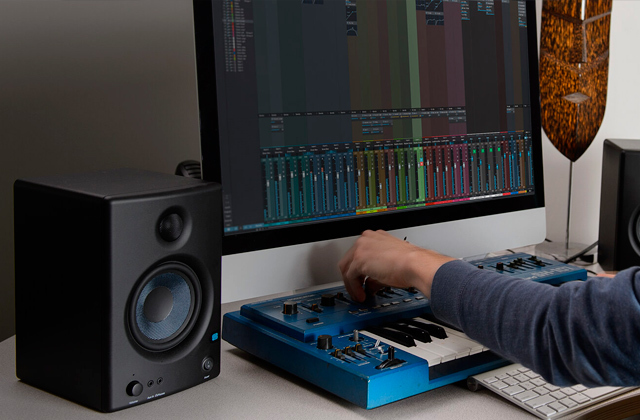 The Mega-bass technology delivers powerful basses and enhances the overall sound. With its help, you will be able to enjoy your favorite mixtapes with a much deeper and richer sound than ever before. 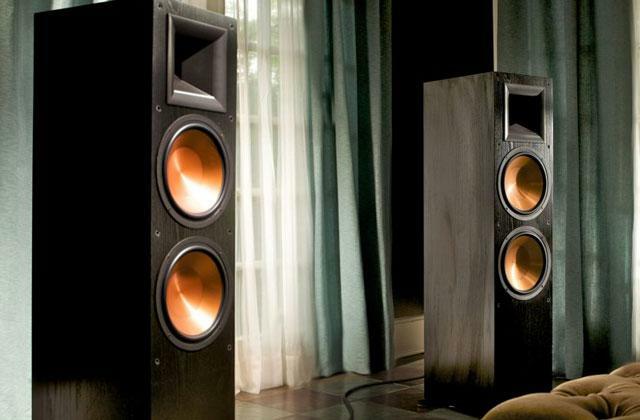 The Automatic Volume Limiter System will allow you to experience music with just the right level of volume. 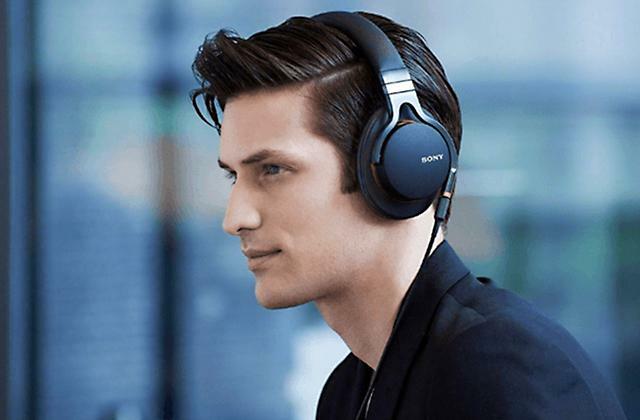 Sony has always been one of those companies that put the quality of sound above everything else and the Sony WMFX197 is a great example of that philosophy. So, if you're looking to breathe a new life into your old tapes, this player is the best way to do that. If you prefer listening to music on your own, the model has you covered with a quality sound system and a pair of headphones. But if you're not the headphone type, a couple of built-in speakers with a 5-band equalizer are there for you. An external telescopic antenna will help you find your favorite station and ensure better signal quality. There's no auto stop feature. We would recommend the Broksonic TSG-45 player to the kind of customers who aren't just looking to revisit their favorite collection of mixtapes but are interested in a highly functional device that offers an array of additional features on top of the playback ones. A belt clip will allow you to easily hook the player to your belt. With 4.75 x 3.25 x 1.25 inches in overall dimensions and about 0.3 pounds in weight, the product will prove to be a pretty good option if you're planning on carrying it around with you. The small size is further improved by the fact that the said clip is detachable. The quality of the earbuds is a bit poor. 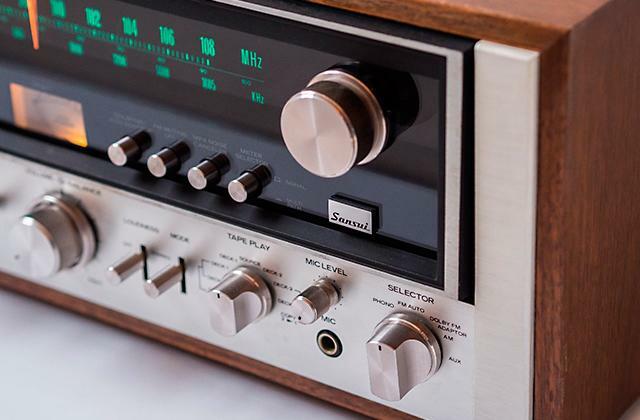 If you're the kind of person who likes listening to old books on tape or purchasing vintage cassette tapes but you do not really have a lot of money to spare on that hobby of yours, the Jensen SCR-68C radio cassette player shall prove to be right up your alley. 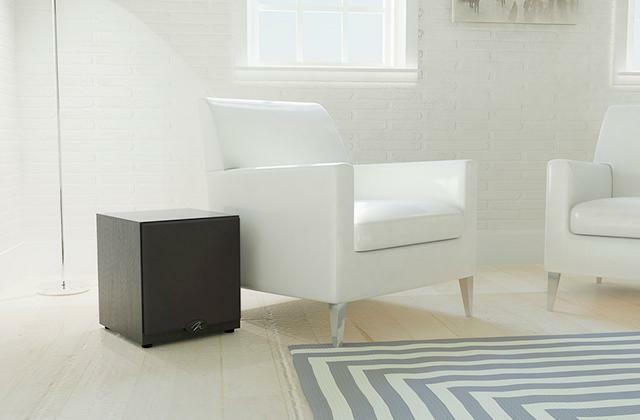 The model comes equipped with a powerful built-in speaker, making it a great option for sizable classrooms with lots of students. 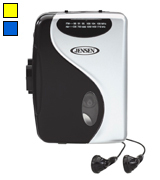 In addition to the built-in microphone, the cassette player boasts a jack for an external microphone. 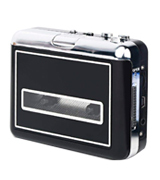 A built-in USB port will allow you to play MP3 files on USB flash drives. Modern headphones do not work with the 1/4" jack, so you'll need an adaptor. There are a few things that make the Hamilton Buhl HA802 such an attractive option. But mostly it is the automatic recording level function that ensures steady sound levels and the model's outstanding versatility that makes it simply perfect for a classroom setting. 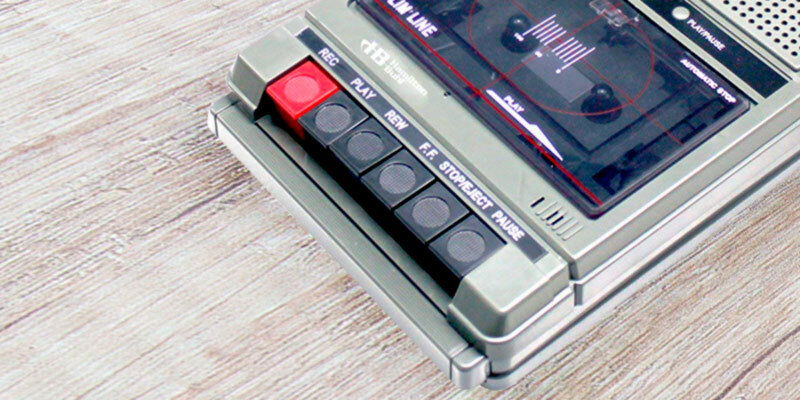 The reverse function automatically plays both sides of the cassette, meaning that you won't have to remove the tape and re-insert it yourself whenever you feel like listening to the other side of the recording. A fashionable black design and little hints of metallic painting make for a pretty stylish exterior. The battery compartment is located in the cassette deck, so you will have to take out the cassette to change to batteries. If you're looking to introduce the younger generation to the wonders of cassette tapes, the cassette player from Rybozen is the most obvious choice. It looks good, it plays tapes, and it will allow you to convert those favorite recordings of yours from Compact Audio to MP3. 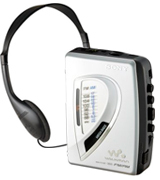 Sony has always been about the quality of sound first and foremost and the stereo cassette player in question is no exception to that rule. 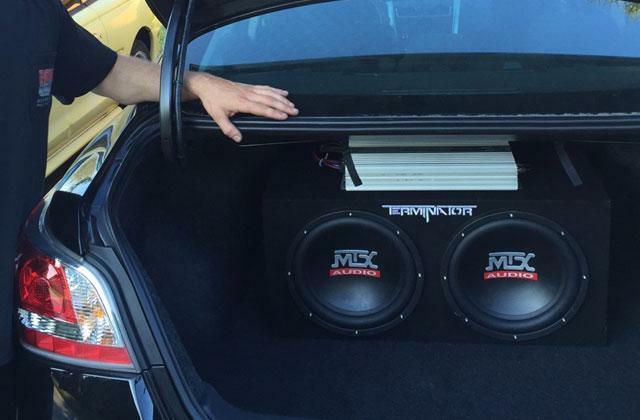 For the most part, the model owes that quality of sound to the Mega-bass technology. Aside from delivering the sort of powerful basses that really have no business being attached to such a slim player, the technology enhances the overall sound. 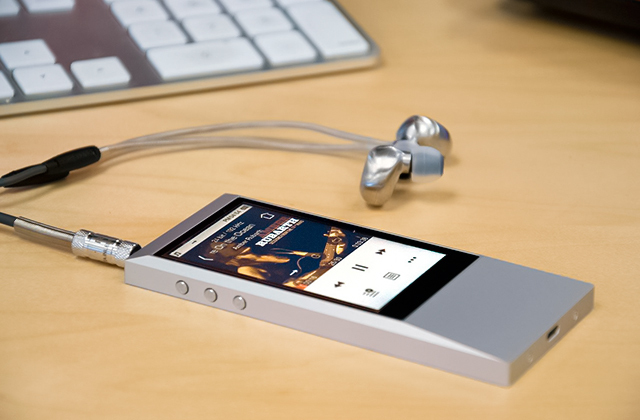 With its help, you will be able to enjoy your favorite mixtapes with a much deeper and richer sound than ever before. 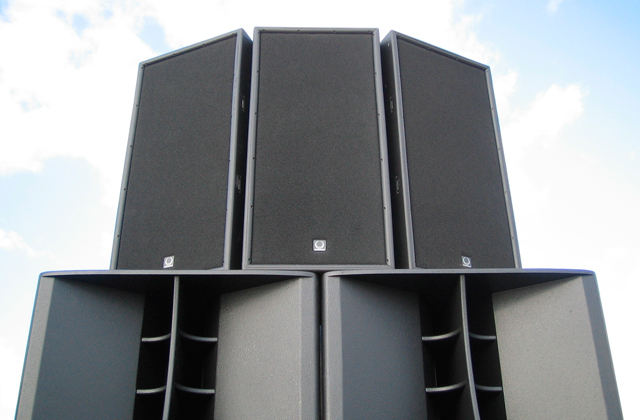 Another element that is worth mentioning is the Automatic Volume Limiter System (AVLS). This nice little feature will allow you to experience music with just the right level of volume, making sure that the headphones do not completely drown the outside noise but also let you listen to music with maximum comfort. Aside from the said technologies, this handheld cassette player doesn't really differ that much from your average model. There's a belt clip with a pretty self-explanatory purpose. In addition to the player itself, you will receive a nice pair of headphones that will be able to match the quality of the player. 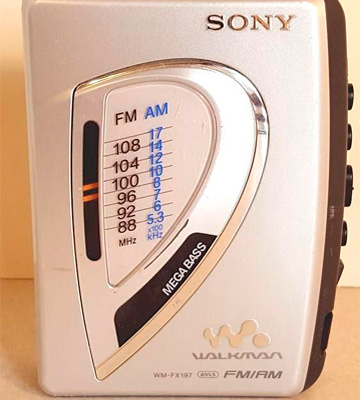 To rephrase our earlier point, Sony has always been one of those companies that put the quality of sound above everything else and the Sony WMFX197 is a great example of that philosophy. 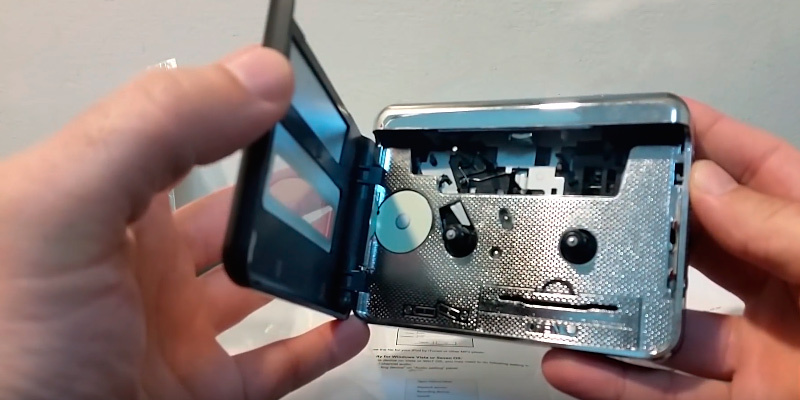 If you're looking to breathe a new life into your old tapes, this is the way to go. 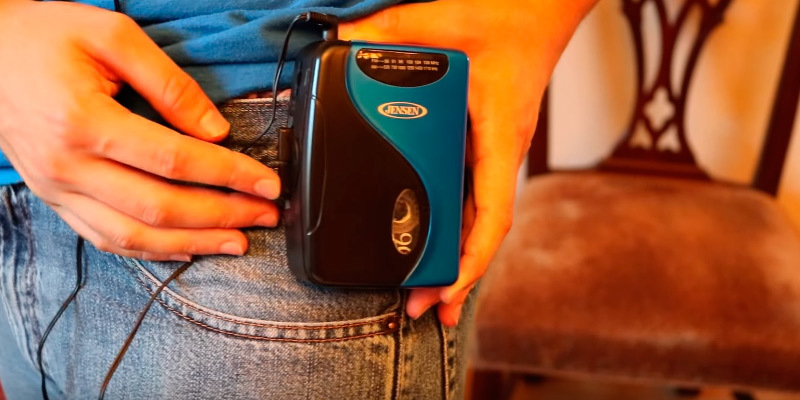 Back in the days, cassette players used to offer their owners a lot of versatility, with a number of useful functions that didn't strictly pertain to listening to music. 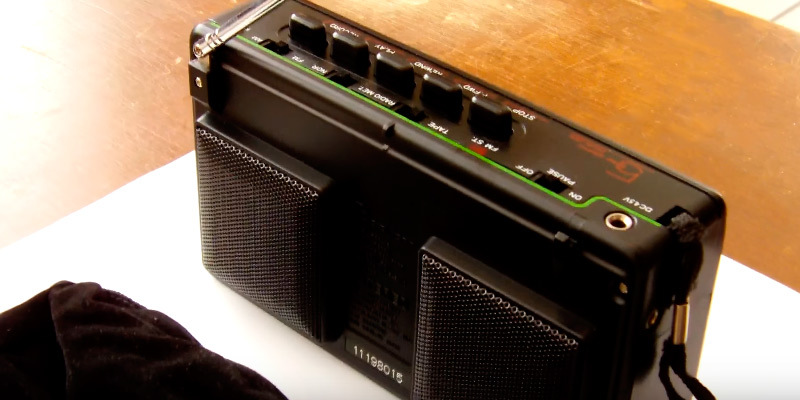 Evidently, the people behind the Broksonic TSG-45 decided to revive that approach, introducing a player that includes just about everything you would want out of a device like that. If you prefer listening to music on your own, the model has you covered with a quality sound system and a pair of headphones. 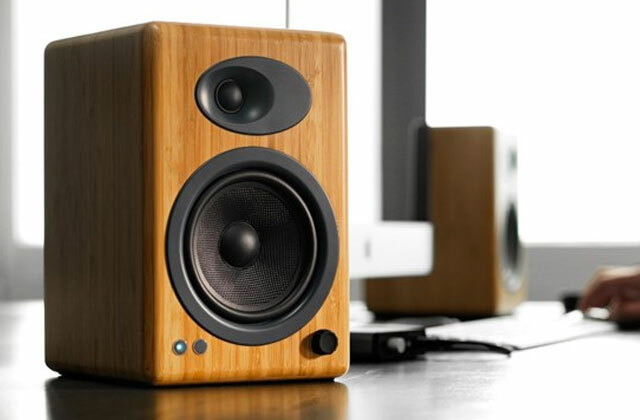 But if you're not the headphone type or you like to share your musical tastes with the surrounding crowd, a couple of built-in speakers with a 5-band equalizer are there for you. And if you ever get tired of your tapes, simply whip out the external antenna and find your favorite station. 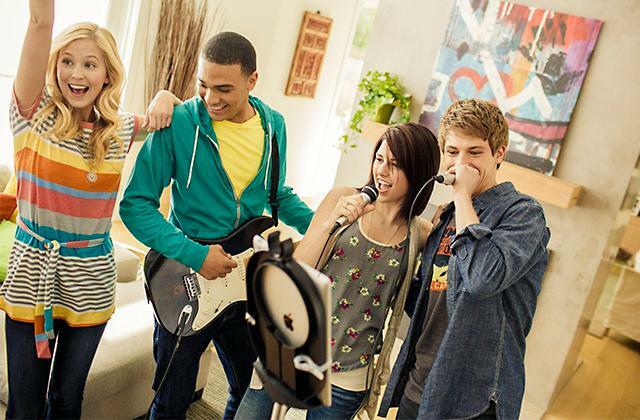 Or, you know, makes some memories while you are at it and use the recording feature that utilizes the built-in microphone to record anything you want, from a conversation with your friends or a catchy tune to a message for your future self. Now, it isn't the smallest cassette tape player out there, so the manufacturers made sure to include a carrying strap to make the question of transportation a tad more convenient. All in all, we would recommend the Broksonic TSG-45 player to the kind of customers who aren't just looking to revisit their favorite collection of mixtapes but are interested in a highly functional device that offers an array of additional features on top of the playback ones. 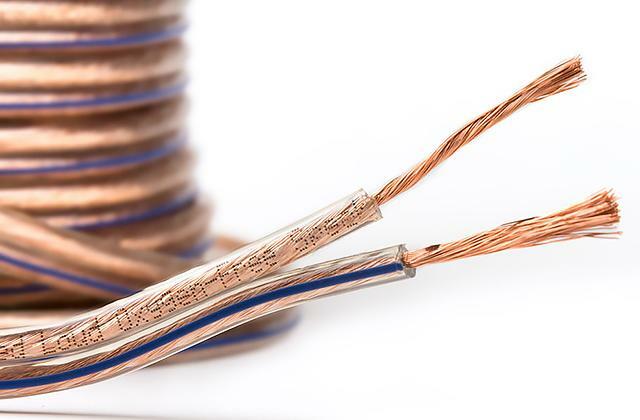 The Jensen SCR-68C is one of the most well-rounded options on the market and here are a few reasons why. First comes the price of the model. For about 15 bucks, you will get yourself the ability to revisit your favorite collection of mixtapes. Second is the size and the weight of the player. With 4.75 x 3.25 x 1.25 inches in overall dimensions and about 0.3 pounds in weight, the product will prove to be a pretty good option if you're planning on carrying it around with you. Of course, the manufacturers made sure to include a belt clip that will allow you to easily hook the player to your belt. But if you do not necessarily care for it, the detachable nature of that belt clip will provide you with a nice little opportunity to take it off. 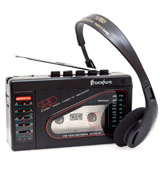 In addition to the belt clip, the portable cassette player comes with a pair of earbuds. Unfortunately, the quality of the earbuds leaves quite a bit to be desired. But given that both the player and the earbuds together cost about 15 bucks, you can't really hold that against the company behind it. 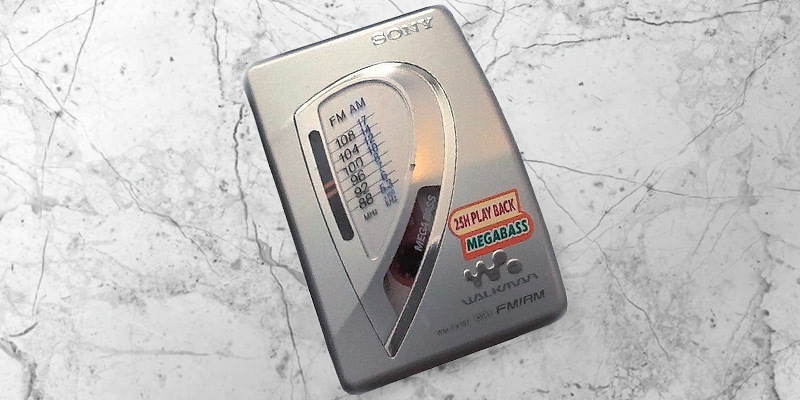 Finally, though it sort of comes without saying, the model will allow you to listen to your favorite tapes or any AM FM radio. 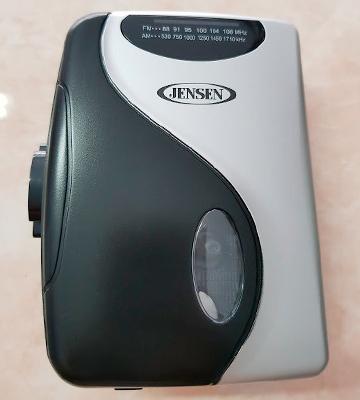 So, if you're the kind of person who likes listening to old books on tape or purchasing vintage cassette tapes but you do not really have a lot of money to spare on that hobby of yours, the Jensen SCR-68C radio cassette player shall prove to be right up your alley. 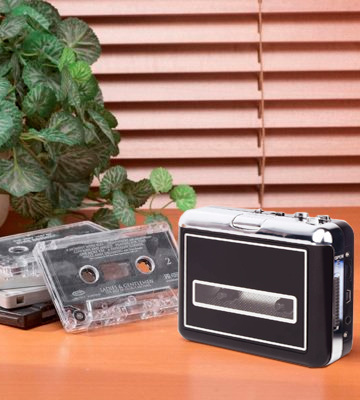 The company behind the Hamilton Buhl HA802 advertises their product as a classroom cassette player and we can certainly see why they decided to stick with that kind of marketing strategy. First things first, with 5.75 x 10.5 x 2.15 inches in overall dimensions and 2.1 of weight, this isn't necessarily the kind of model that you could always carry around with you. That said, the manufacturers did make sure to add a handle in order to make the process of transportation a bit easier. So, sure, this isn't the most portable option on the market, but the player works perfectly fine in a classroom setting. For instance, the model comes equipped with a powerful built-in speaker, making it a perfect option for sizable classrooms with lots of students. The recording feature is also there. 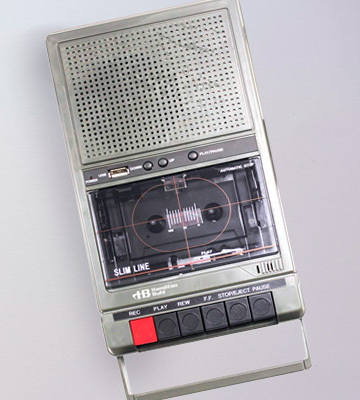 But, in addition to the built-in microphone, the cassette player boasts a jack for an external microphone, so you could always use that if the internal one ever proves to be insufficient. Other than that, we would be remiss not to mention the built-in USB port that will allow you to play MP3 files on USB flash drives. This nice little addition makes the model a pretty versatile solution, providing you with the opportunity to enjoy the advantages of older and newer technologies. Plus, further adding to the versatility aspect, the player can be powered via 4 "C" batteries or the 120-volt 5-feet AC cord. To bring this review to a logical conclusion, there are a few things that make the Hamilton Buhl HA802 such an attractive option. But mostly it is the automatic recording level function that ensures steady sound levels and the model's outstanding versatility that makes it simply perfect for a classroom setting. The younger generation looks at cassette tapes and players not dissimilar to the way we look at bows and arrows. For them, it is an ancient technology that belongs on the outskirts of history. But if you would like to change your mind, there isn't a better option out there than the cassette player from Rybozen. What makes this product so suitable for that kind of task are the USB port, the USB cable, and a particularly useful piece of software that comes with the player. Using the latter, you will be able to transfer your old music collection to the computer and convert these tape records to MP3. Of course, this is a cassette player first and foremost, so it wouldn't be worth much without the ability to play tapes. And, suffice it to say, the model does it quite well. 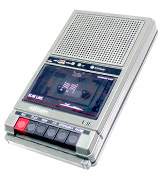 In addition to the standard set of functions like Play, Stop, Fast Forward, or Rewind, the player includes a reverse function that automatically plays both sides of the cassette. That means you won't have to remove the tape and re-insert it yourself whenever you feel like listening to the other side of the recording. Finally, what might help you change the younger audience mind is a stylish appearance of the model, with a fashionable black design and little hints of metallic painting. Again, if you're looking to introduce the younger generation to the wonders of cassette tapes, the cassette player from Rybozen is the most obvious choice. It looks good, it plays tapes, and it will allow you to convert those favorite recordings of yours from Compact Audio to MP3. What Is a Cassette Player? Of course, we would be lying if we said that cassette tapes are still one of the most popular sources of music (though the technology is certainly not willing to die just yet). Hell, the majority of the millennial generation probably wouldn't even be able to tell a cassette player from a VHS one. Now, if you're one of them, this is all quite simple. A cassette player is a device that can be used to listen to cassette tapes. The majority of these devices will also allow you to listen to the radio. And a good chunk of them also come with the sort of functions that provide the user with the ability to record just about anything they want. 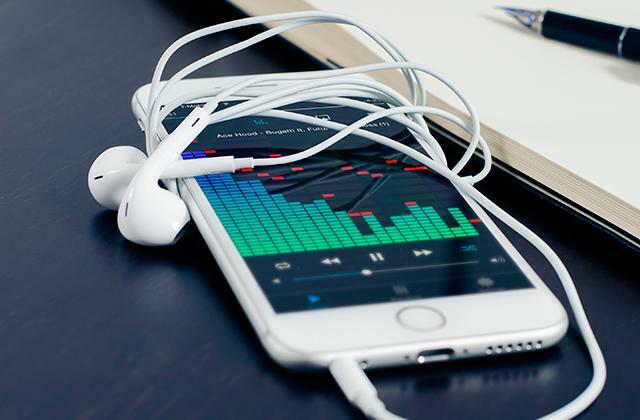 And, in order to adapt to the ever-changing world of information technologies, the manufacturers of some of the newer cassette players have started to implement USB ports that make it possible to listen to digital recordings through USB flash drives. 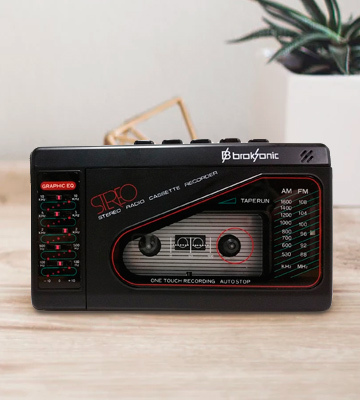 So, whether you would like to revisit your collection of mixtapes or introduce your kid to your favorite music, any one of these cassette players presents the perfect opportunity to do just that. Now, if you still aren't sold on this admittedly ancient technology and prefer a more modern touch, our reviews of boomboxes and MP3 players are there for you.